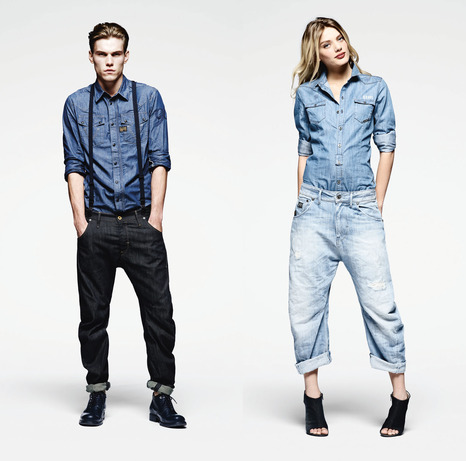 Fresh from the runway are some amazing double denim looks from Brazil’s Colcci. To see the full S/S 2012 runway, visit Denimology. Rihanna Rocks ANOTHER Canadian Tuxedo! Forget her umbrella. These days Rihanna can’t get enough of her denim … on denim. She was seen again working the double denim. This time on X Factor. We’re loving this look. Her Canadian Tuxedos just keep getting better. Yes, G-Star. YES! To celebrate it’s 15th year, G-Star has launched the Arc Pant. We love it. Dutch model Cato Van Ee was spotted in New York rocking on of the dopest Canadian Tuxedos in a shoot for Velvet magazine. Love, love, love! Denimology has a dope Canadian Tux in their Style Bloggers: Denim Outfit of the Week Poll! Vote Trini-G!